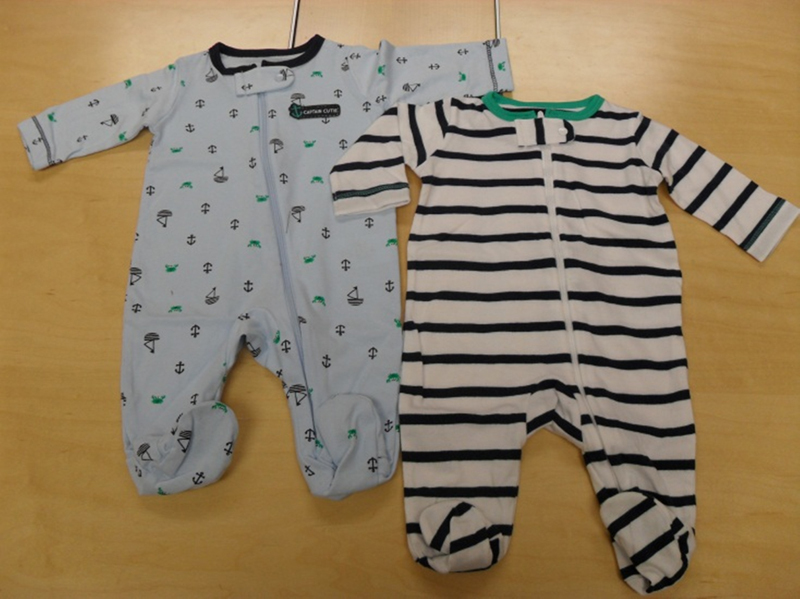 I wanted to be sure that everyone was aware of the Carter's Infant Clothing Recall as many of you have or are expecting little ones. I have at least one of these popular one piece outfits with the zipper, which can detach and pose a choking hazard. Thankfully, this is a voluntary recall and no children have been injured. Baby B’gosh (414-208) Yellow with white quarter moons and gray and white stars print. Child of Mine (715-839) Baseball-style, white with blue stripes, yellow accents and “Little Brother” printed on the chest. Just One You (520-242) White background with navy stripes and green neck binding. (597B537) Light blue with a nautical and green crabs print and “Captain Cutie” on the left chest. (520-243) White with a pink cupcake print. (597B538) Pink with small polka dots and a bunny ballerina on the left chest. (520-244) White with green stripes and an elephant and duck on the left chest. (597B539) White with a gray elephant, gray bear, green frog and yellow duck print. The items were sold at OshKosh B’gosh, Walmart and Target nationwide from December 2012 through January 2013 for between $7 and $20. Baby B’gosh sleepwear was also sold online at www.oshkoshbgosh.com. Carter’s, Inc.; toll-free at (888) 282-4674 from 8 a.m. to 4:30 p.m. CT Monday through Friday, or online at www.Carters.com and click on Product Recalls. More information, links to report an incident with the product and pictures can be found on the Consumer Product Safety Commission website.